Taipei is renowned for its delicious variety of street food and regional specialties. On this walking tour, numbers are kept to a maximum of 8 people, ensuring that you get the most out of your guide. 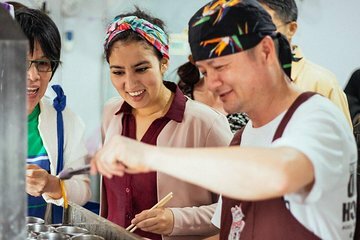 Explore the atmospheric Zhongzheng District, visit Dongmen Market, and sample a wide selection of Taiwanese dishes, with your guide on-hand to explain the ingredients and translate any food preferences.